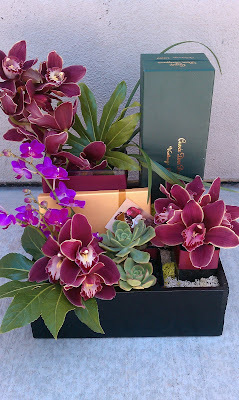 We caught a couple arrangements as they were about to go out the door to their lucky recipient today. 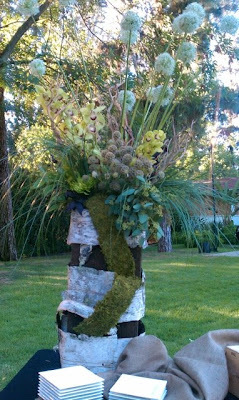 Notice the treatments inside the vases....one has birch branch and the other has a natural green leaf...so creative and chic! These will make someone's day today! 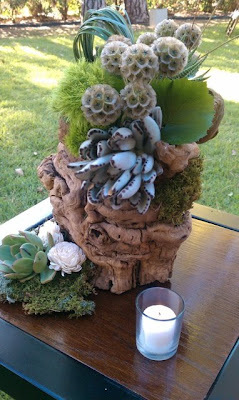 We just had to snap a few pictures at this beautiful set up at the home of one of our clients this last weekend. 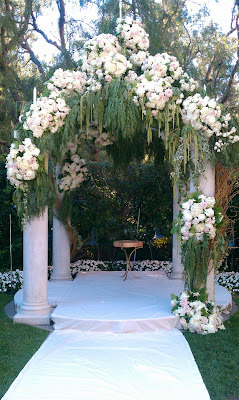 It was a beautiful outdoor wedding party that perfectly complimented the whimsical nature of the setting. 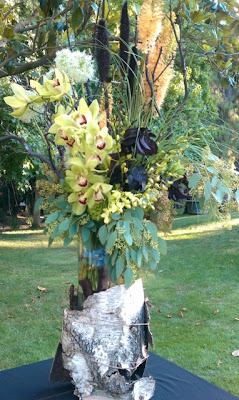 The arrangements were all made in organic and interesting containers using birch branches, tree stumps, & natural wood. 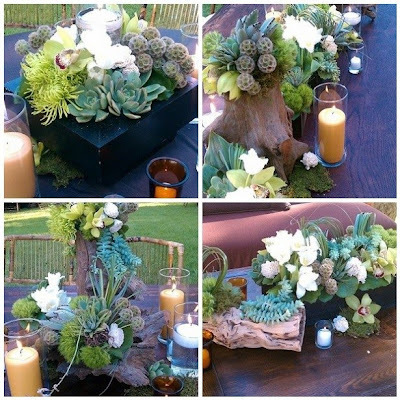 The flowers were a textural mix of succulents, orchids, exotic leaves, thistle pods, fiji mums, lily grass, moss & tulips. Illuminated candles were added to create a romantic touch. Simply & naturally beautiful! While you won't usually see this flower predominating an arrangement or bouquet, the yellow billy ball is a great add-on to give any floral piece that perfect summery touch. It's bulbous, globe-like shape and vibrant yellow color make this flower stand out as and interesting and unique find. Here at the Hidden Garden we've added great texture and interesting variation to many of our floral designs with the help of the billy ball. When you combine the perfected taste of the groom's mother with a detailed coordinator and a dynamic florist... you have the outcome of a truly beautiful wedding! 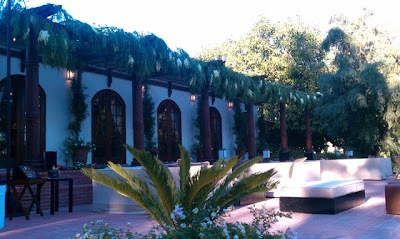 This last Saturday we decorated the Crystal Ballroom and Garden with beautiful and lush flowers to compliment the already classic and tailored decor of the famous Beverly Hills Hotel. 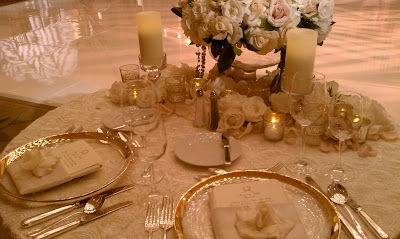 The colors of the flowers were in all ivory and champagne tones, with gold undertones in specific areas. The mix of roses, hydrangea, amaranthus, and loops of curly willow gave a textural and classic feeling throughout the whole wedding. Take a sneak peak of the photos we took during the set up, we just couldn't wait to share. More photos to come from David Michael Photography. 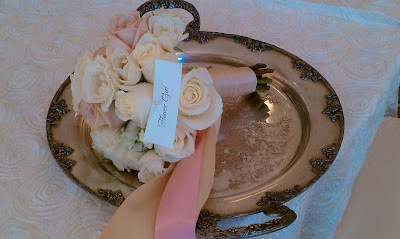 Thank you, Maryam of Delicate Details, for yet another beautiful wedding! 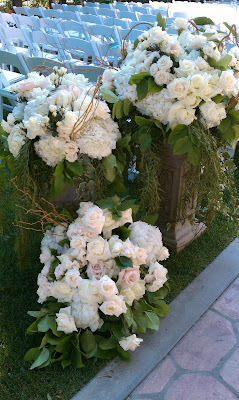 "Texture" is an adjective that we hear from many clients when describing a look for their flowers. 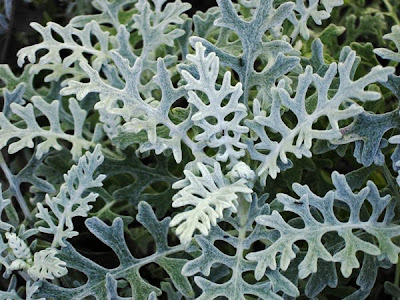 Texture might not only come from a variety of floral blooms but a mix of different types of unique greenery, something that is not as commonplace as ivy or lemon leaf. 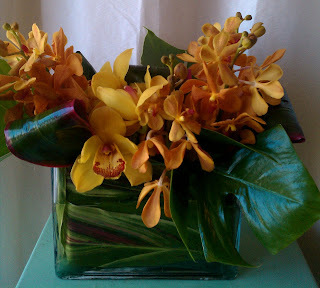 Interesting elements that have a scent or a feel (texture) can create variety in an arrangement. . 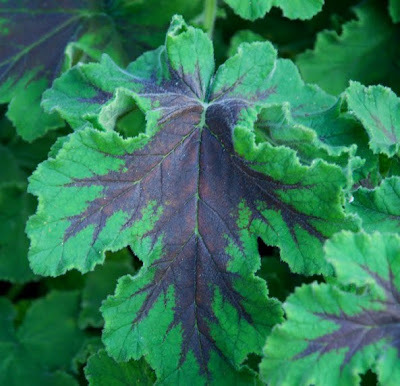 Some of my favorite types of greenery textures that we add to our arrangements at The Hidden garden are dusty miller, chocolate geranium, lemon geranium, and begonia leaves. Dahlias are just starting to come into season and that means you'll be seeing it integrated into many of the arrangements we are designing for our clients at The Hidden Garden. I absolutely love the color varieties the dahlia comes in from deep burgundy, raspberry magenta, tangerine orange tones, blush pink, white, yellow and variegated shades. 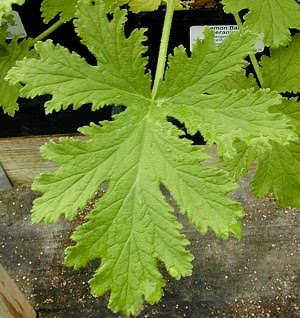 It has a rich history of decorative and ceremonial purposes and is often mentioned by many as a favorite flower. 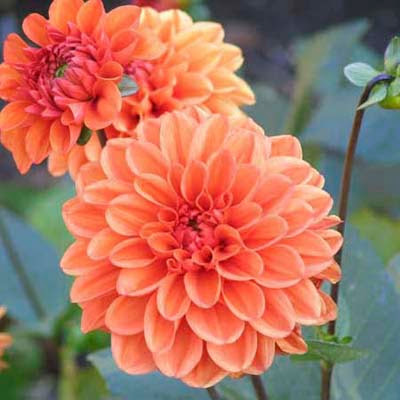 The dahlia flower was named after a botanist named Anders Dahl but it has many different aliases in several other cultures. For instance, the Japanese call this flower the "Peony of India". 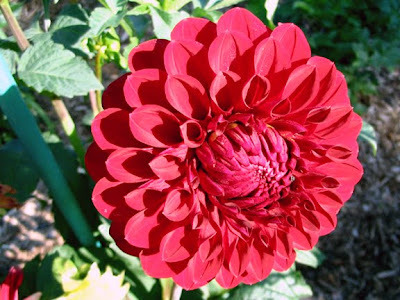 Historically, the Aztec people used dahlias in many of their cultural ceremonies and even made small pipes out of their woody stems. An interesting fact about dahlias is that they have more chromosomes than most flowers so there are many varieties of size, shape, color, and other elements in their buds. One of the most interesting variations of this flower is the "black dahlia", a flower known for having black color in its petals. 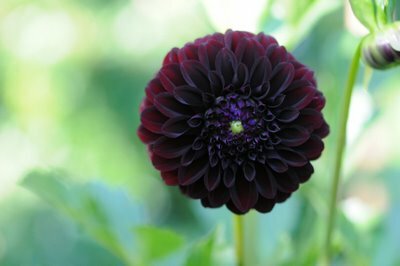 The black color usually appears on burgundy dahlias and comes in variations of contrast and brightness. 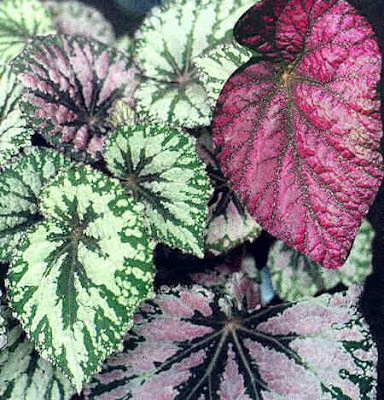 As you know "black" is not a common color description for most flowers so this is one of the few floral varieties that come in such a deep rich tone. If you are ordering arrangements from The Hidden Garden...don't forget to mention this "favorite flower". It's amazing and we are so fortunate that one of the great Dahlia Growers is right here in our own back yard, Endow. 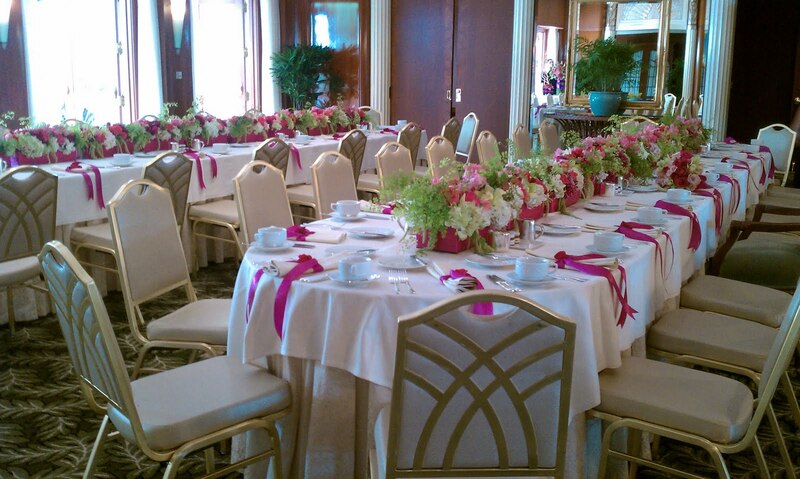 This past weekend we were delighted to design the decor and floral arrangements for one of our long time client's bridal shower at the Beverly Hills Hotel in the Polo Private dining room. Ashley (bride to be) was a huge fan of pink so there wasn't a shortage of pink elements throughout (wish we had pink linens!). 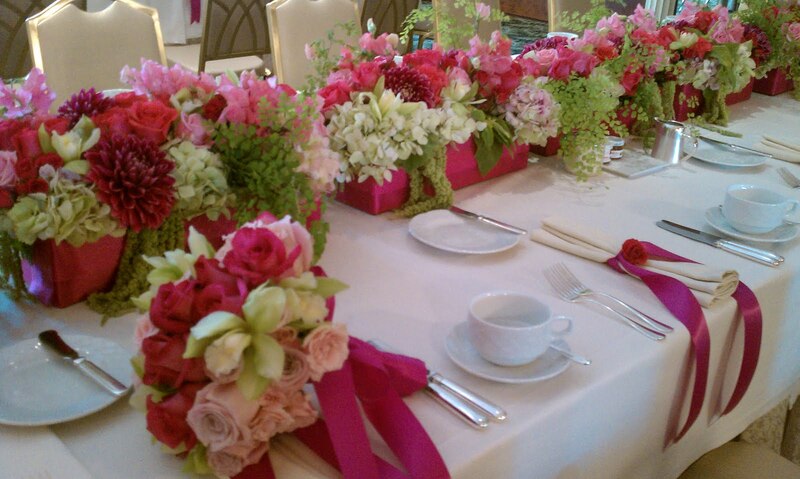 Our floral centerpieces incorporated delicious raspberry pink dahlias, magenta roses, sweetheart spray roses, green hydrangea, maidenhair fern, cymbidium orchids, amaranthus and vibrant pink sweet peas. 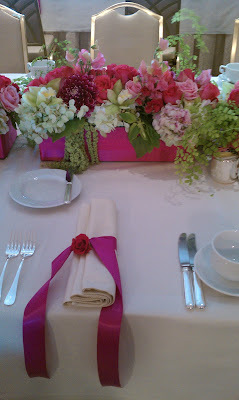 Ashley's mom was looking for a continuous table scape of green & pink tones to adorn the guest tables yet still allowing the guests to take at the end of the day. 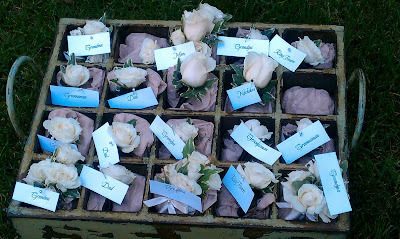 Each arrangement was designed in individual boxes which allowed some of the guests to enjoy the florals at home. Our bride to be even had her own "bouquet" to take home...just a little pre-wedding practice! An added detail to the tea was our cute wishing tree. 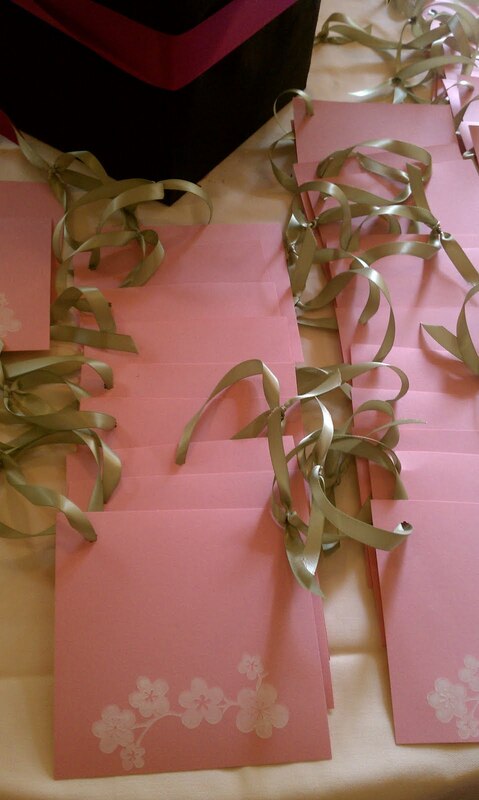 Each guest was asked to write a note to Ashley wishing her well on her new journey in life. On Monday, we had the honor of providing floral decor for an annual dinner hosted by Cosmo Magazine at The W Hotel in Westwood for the Fun, Fearless Females of Hollywood. An uber chic location, with built in decor surrounding the entire pool area. We were loving the apple green, turquoise and white decor already existing at the location so we just had to add in a few of our own "hidden garden" touches to pull it all together. The long table was set for 20 guests to enjoy an evening under the stars at this hotel hotspot. 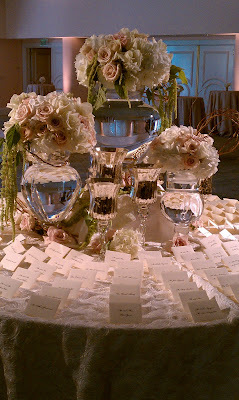 Dark wood tables with crisp white table runners were our base. 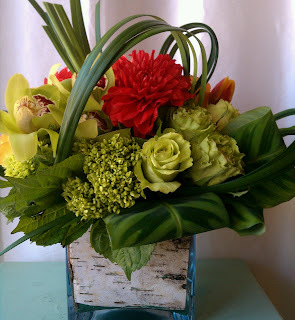 Our floral containers were a mix of espresso wood, glass and white shapely vessels. The only flowers used were in the celadon apple green (cymbidiums, jade roses, fiji spider mums, kermit buttons, mini green hydrangea and geranium). Although we weren't there when the sun set on this magical location i'm sure the candle lights and ambient lighting set the tone for a wonderful dinner for the girls and guests of Cosmo. Here at the Hidden Garden, we go above and beyond the tasks of an average florist. We create gorgeous floral arrangements for our clients but we also design the entire decor for many events and weddings. 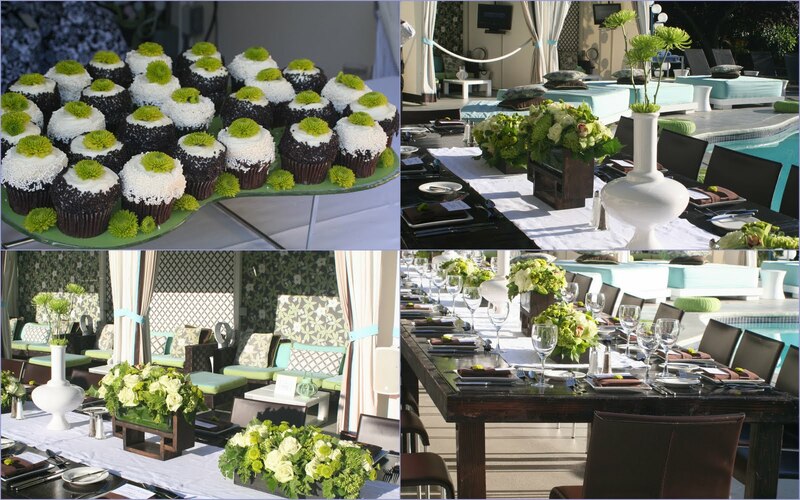 We feel it's our responsibility to create the entire look of the event, so all the elements pop! 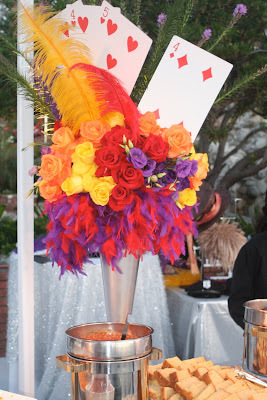 Last weekend we had the opportunity to design the decor for a "Las Vegas Casino" themed party at a private home. The family wanted loud and vibrant colors, and a Vegas feel... and that's what we did! 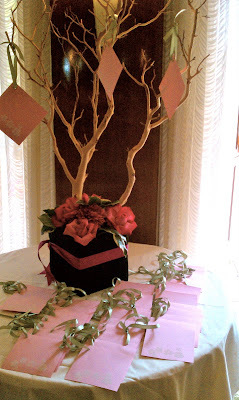 We designed the arrangements for this party much differently than the kinds of arrangements we normally create. 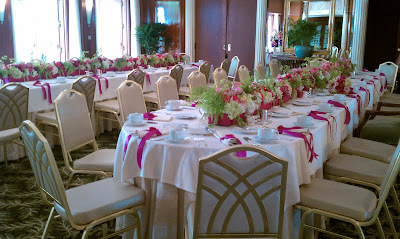 Because it was "Vegas" themed, we needed a lot of glittery glamorous decor and brightly colored flowers. For the main table centerpieces we made arrangements of yellow, purple and red flowers and added vibrant boas and feathers to every arrangement to give a show girl feel. 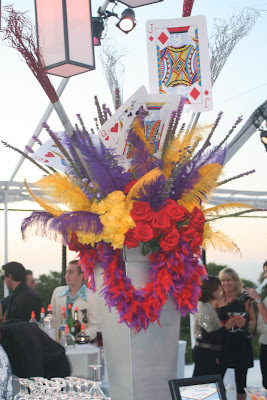 To give them a Vegas touch we set over sized playing cards among the flowers and feathers, which were perfect for the Casino theme. 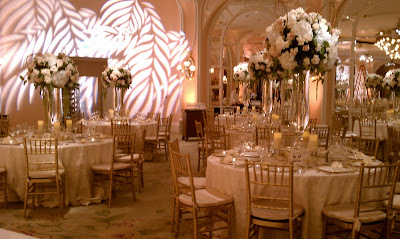 For the small seating tables we made smaller arrangements of the same vibrant colors in round silver vases. The shimmering silver table linens and brightly colored arrangements gave the fresh white decor a splashing Vegas party vibe. 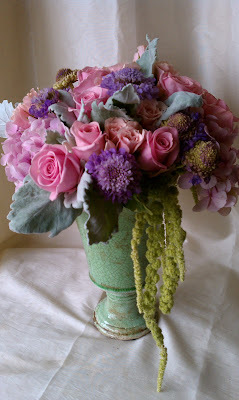 Summer is a very busy time for florists, and it's no different for us! 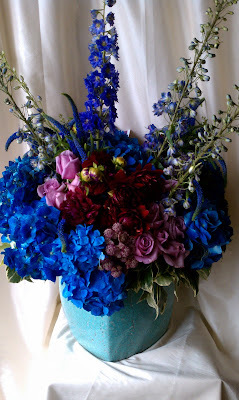 Here at the Hidden Garden we are all working like busy bees to get arrangements done and sent out to our clients for birthdays, anniversaries, get-well-soon and more. 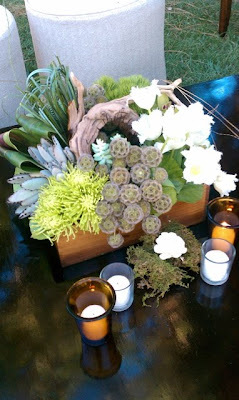 Here are some of our favorite everyday arrangements of the week.. If you haven't seen it on the newsstands yet, The Hidden Garden is featured in Your Wedding Day magazine on page 127. 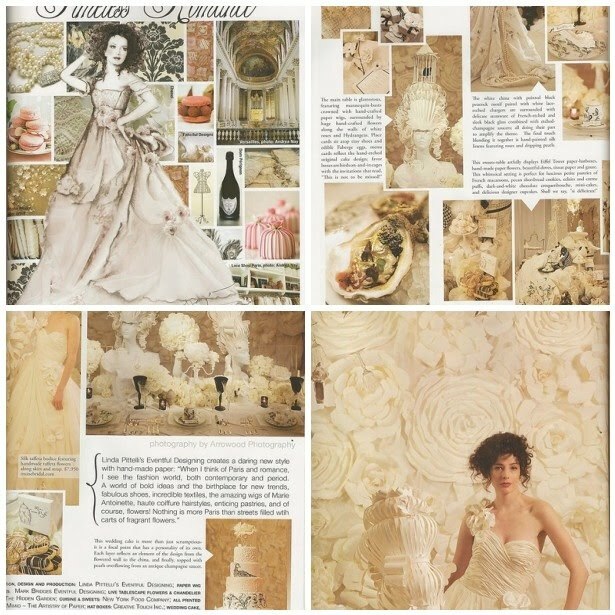 We are so excited to be a part of this issue and to have our work featured in such a great publication... check it out!